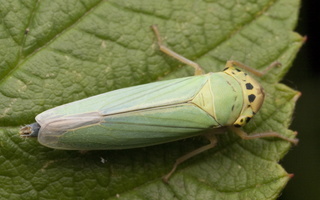 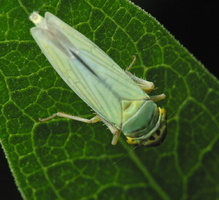 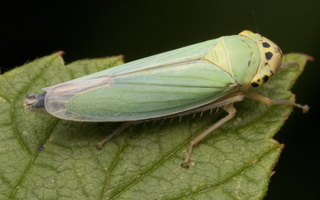 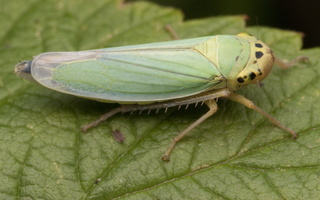 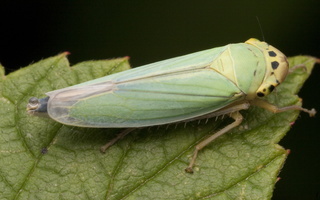 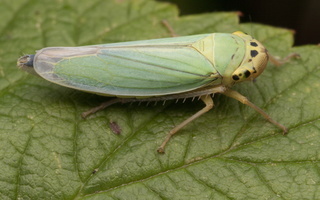 Cicadella viridis is a relatively large (6-9mm) and distinctive species, with yellow on the head and pronotum (first thoracic segment) contrasting with the blue-green colour of the rest of the thorax and the forewings. 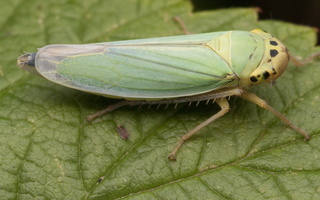 Males may be strongly purplish. 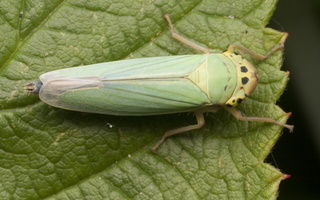 It is a species of fens and marshes, feeding on sedges (Carex), rushes (Juncus) and perhaps other plants.